Now let's see them pix!!! American University cinema instructor John Weiskopf was absolutely jazzed with the way last week’s “UFOs: Encounters by Generals, Pilots and Government Officials” conference worked out. And it wasn't just him. Um, well, sort of not. The key here, said Weiskopf, was scheduling a lineup of speakers based largely on author Leslie Kean’s sober assessment of the phenomenon, UFOs: Generals, Pilots and Government Officials Go On the Record. She and two of the book’s chief contributors — former NASA scientist Richard Haines and retired Air Force colonel Charles Halt — were on the panel. But so was Thomas Carey, longtime investigator of the 1947 Roswell Incident, an event so thoroughly analyzed, cogitated, muddied, exploited, debated, disputed, contested, disfigured, wrangled, mangled, hashed, rehashed and overexposed, it has become synonymous with futility, if not cliche. And, of course, the only major media outlet to cover the AU discussion — Washington’s news-talk station, WTOP — couldn’t help but catch the shiny Roswell bling and lead with it, big time. Who wouldn’t? After all, Carey, co-author of Witness To Roswell, claimed to have the “smoking gun” — two color Kodachrome slides, allegedly stock-dated to 1947, that purport to show a glass-encased alien cadaver. 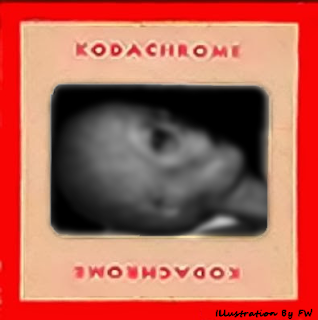 The Kodachrome controversy has been percolating for nearly two years now, and the acrimonious fallout says far more about human ego than it does about the evidence at hand. In fact, no one outside a select few have actually seen that evidence, which Carey promised nearly 200 AU audience members would be released sometime next year. But what a tease. Shades of “Alien Autopsy.” Simply irresistable.